For leadership, responding to supply chain disruptions can be paradoxical. Supply chain disruptions can rattle the stability and operational norms of a company and its stakeholders. Without an unwavering effort to contain the damage, such disruptions can easily propagate and become even more damaging. This assertion suggests that decisive leadership is fit for the purpose. 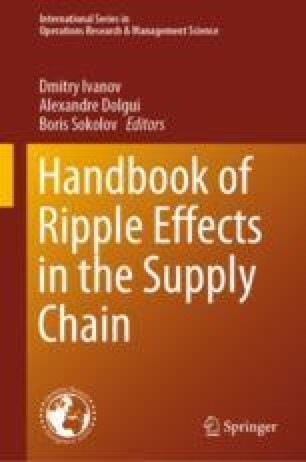 However, supply chain disruptions often sever multiple value-generating streams, creating a ripple effect across organizations. Re-establishing production links in a web of inter-organizational exchanges requires careful examination of what is at stake by purchasing and supply managers. This alternative assertion suggests that an adaptive leader is fit for the purpose. The concurrent need for decisiveness in leadership and adaptiveness in leadership can be paradoxical. In this study, we explore this issue by assessing how leader’s adaptive decision-making (ADM) affects the extent of operational performance damage caused by different forms of supply chain disruptions. Using paradox and leadership theories, we offer hypotheses related to unexpected, complicated and enduring supply chain disruptions. We empirically test our hypotheses using secondary (financial) and primary (managerial assessment) data from a cross-section of 251 manufacturing firms. Results show a concave curvilinear relationship between leader’s ADM and operational damage from supply chain disruptions, suggesting that moderate levels of ADM are optimal. Higher ADM is particularly effective to diminish ripple effects in the face of rare disruptions. Instead, low ADM is more effective in the face of unexpected and complicated disruptions.